Harley-Davidson has revised the pricing of their 2016 models sold in the Indian market. Recently, automobile manufacturers in the country had announced a price hike. The reason for the hike in pricing was an increase in input costs as well as the foreign exchange rate. 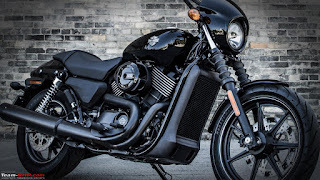 All prices mentioned above are ex-showroom (Delhi) Recently, Harley-Davidson had provided its Street 750, Iron 883, Forty-Eight, Street Bob, and Fat Bob motorcycles with an update. The four motorcycles received special attention from their Dark Custom section. The Dark Custom models witness maximum price hike for 2016. The Super Low cruiser from Harley-Davidson's Indian line-up is dropped in 2016. Harley-Davidson is most likely to showcase something interesting at the upcoming 2016 Auto Expo in Delhi. Several new and interesting cruisers are expected to launch in the Indian market this year.